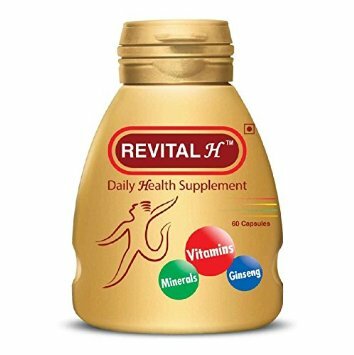 Revital is a well-balanced combination of Ginseng, vitamins and minerals in appropriate concentrations formulated to prevent pressure, fatigue and improve physical and mental performance and for overall health and vitality.
. It increases physical work capacity by countering fatigue and helping oxygen transport to tissue (for producing energy) during physical exertion.
. It improves endurance, tolerance and compatibility during stressful states.
. It improves performance in activities which require skill, coordination, concentration, learning and memory.
. It replenishes vitamins and minerals (essential constituents of a balanced diet) and helps maintain good health. Suggested Use: Revital can be taken after the meals any time during the day but preferably should be taken after breakfast.